Your content should be written extremely well; great copy writing is the heart and soul of SEO. Firstly, excellent writing is better for your users and is more likely to attract inbound links. Secondly, Google has ways, some of them very subtle, of determining just how good and useful a piece of writing is. Write with your users in mind, with a view to giving them the best and most useful experience possible. With regard to Google's subtle ways of assessing the quality of a piece of writing, you should avoid using the same keywords again and again, even if it feels natural to do so. Instead, you should use of a variety of synonyms for every keyword. This makes your writing more readable and interesting, and also persuades Google that your content is not run-of-the-mill spam, but authoritative and useful. The only thing Google respects is high-quality text with some links pointing to it. Google considers web sites that constantly add content much more useful than web sites that add content infrequently. For this reason you should set yourself a realistic target for the production of new content and stick to it. Depending on how ambitious you are, you can aim for one new page of content per day or per week. Whatever you choose, remember that Google likes fresh content. It has an intrinsic preference for web sites that focus on creating new content over web sites that keep tweaking their existing content again and again. In other words, Google wants to see that you are working on producing new content, not on optimising content that you already have on your web site. The ideal word count for each page is between 500 and 1500 words. The h1 tag is one of the great secrets of SEO. The h1 tag tells search engines that this is the main title of the page ("heading #1"). The h1 tag is an incredibly powerful tool and Google takes it seriously, providing it is substantiated by the page's content. In other words, the words in the h1 title tag should also appear in the main text. Using the h1 tag is an excellent way to optimise a page for specific keywords. The keywords you are targeting should appear in the main body of your text reasonably frequently, but don't overdo it: a page that is stuffed with keywords destroys the credibility of your web site and is easily identified by Google as spam. Putting your keywords at the beginning of the page, in most of the paragraphs, and somewhere near the end will be quite sufficient. Do not forget the importance of using synonyms too, as mentioned above. b) "Screen printing tips" is a subset of "Printing" Google will give you extra respect for using hierarchical URLs. Don't forget that Google was developed by two clever mathematicians! a) You will be able to have highly focused search-engine optimisation that targets each specific page, instead of trying to optimise one enormous page for keywords that are relevant to only 10% of it. Remember that Google decides what content is about on a page-by-page basis: this means that every page should focus on one topic - only one. b) Users prefer to read articles that are split over several pages rather than articles that have the "toilet roll" format. The links that take you from one page to the next should have the target page's title as the anchor text. From the point of view of SEO, frames must rank amongst the most disastrous thing you can do. Users hate them, and search engines hate them even more. Put simply, search engines are not able to index web sites that use frames; the most they can do is index your homepage. 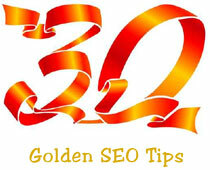 For all intents and purposes you will simply not be present in search engine indexes if your web site uses frames.